Enjoying your holiday with all the comforts of home? Stay in a fully equipped holiday home and enjoy nature, culture and the endless hospitality that Belgium has to offer. Enjoy this in and near our holiday parks, where every season has something beautiful to offer. Lazing along the Belgian coast in summer and enjoying water sports on the great lake in the Kempen. 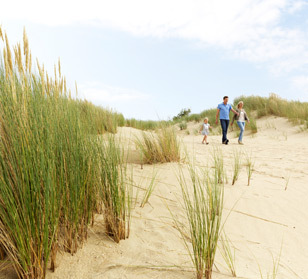 In autumn, you can take a breezy stroll on the beach and explore the colorful forests of the Kempen. When the sun disappears behind the clouds, splash around in tropical swimming pool Aquafun or relax in the wellness area. You can hear the kids having fun at the indoor playground Kids World! Bad weather won’t ever the spoilsport ruining your day, with all that Sunparks has to offer. Packed your swimwear? Prepare for Aquafun, with wild water rapids, whirlpools and water slides! If it is up to the kids, they never want to go home again, but stay forever jumping, running and sliding in Kids World! 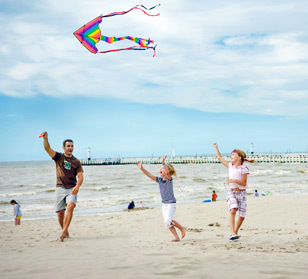 The vast coastline, great lakes, woods and moors: Sunparks holiday parks are located in beautiful regions, close to big cities and amusement parks. 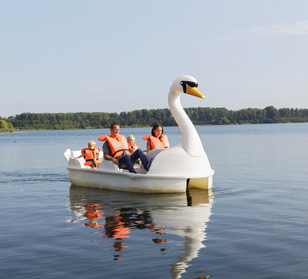 - Kempense Meren: situated in the wooded Kempen with lots of hiking and cycling routes, shopping fun in Antwerp and Hasselt and near theme parks Bobbejaanland and Plopsa Indoor Hasselt. - De Haan aan Zee: within walking distance from the beach, the dunes and the coastal tram, close to Bruges and underwater world Sea life. - Oostduinkerke aan Zee: located along the Belgian coast, near Nieuwpoort and amusement park Plopsaland De Panne. It is holiday-time, the best time to relax! Take a break and treat yourself in our wellness area. So you can recharge and go home with renewed energy. - Enjoy the sauna, hammam, whirlpool, solarium and the Turkish bath. - The wellness area is available in all parks, including an extensive wellness center in Oostduinkerke aan Zee, West Coast Wellness. - Want to start your holiday totally relaxed? Book a wellness package while booking your holiday home and receive a discount on your package. Of course, we want you to have a great holiday in our parks. That is one of the reasons why sustainability is important to us!